Item Detail - “MCKINLEY & PROTECTION” GRAPHIC LARGE SIZE 1.25” LAPEL STUD BACK BUTTON. 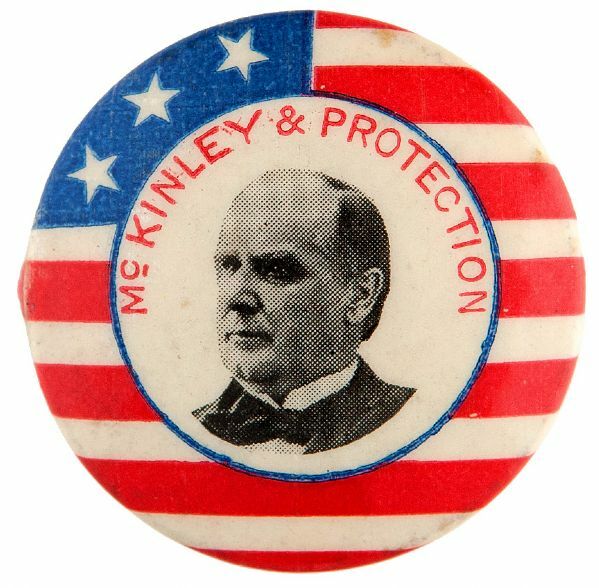 “MCKINLEY & PROTECTION” GRAPHIC LARGE SIZE 1.25” LAPEL STUD BACK BUTTON. Hake Guide #3243. 1.25”. Back reads “Torsch & Lee / Balt. Md.” .25” cello split by metal back makes small bump on front left edge. Rest is glossy. Near Mint.